With 2017 at the door we wanted to review with you the biggest economic and business news in Egypt in 2016. 1-We knew for sure that Egypt had one of the slowest internet speeds globally. 2- Egypt assumed the role of the gateway to Africa in the summit Africa 2016. 3- Egypt 2030 vision was announced by the Egyptian government. 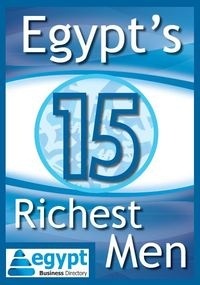 5- Egypt reshuffled 10 ministries, most of them economy related. 6- Germany and Egypt signed an MOU to build a solar park in Egypt. 7- Egypt (for a while) became the second biggest economy in Africa. 8- Egypt was announced as the 4th country in the region in terms of tourists' receipt. 9- China invited Egypt to attend the G20 summit, where Egypt sought opportunity to alleviate the dollar crisis. 10- Egyptian-born Nemat Shafik was appointed Director of London School of Economics. 11- Egypt announced a fierce battle on the Black Market for currencies including legal persecution. 12- Russia and Egypt signed an agreement for the former to build an industrial park around Suez Canal, the project will launch in 2018. 13- 4 Egyptian mobile operators (Vodafone, Orange, Etisalat and Telecom Egypt) acquired the 4G licences, after -many- negotiations and objections.